We joined the Adopt a highway program! 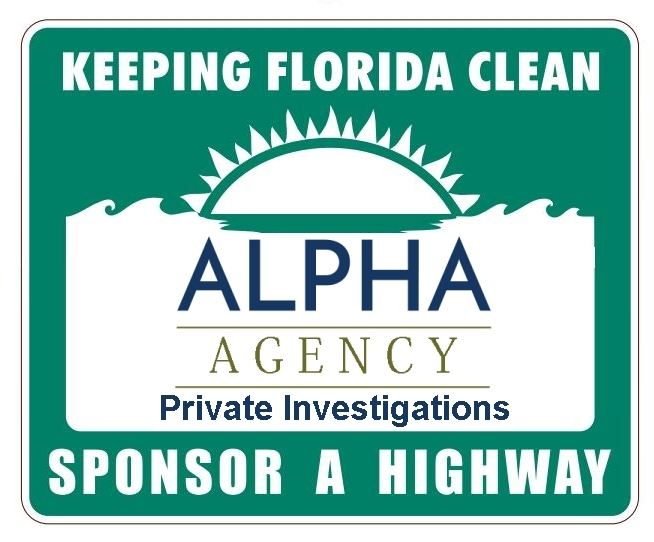 When you are out and about you may see a new sign on the highway! We are doing our part to give back to the local community that has been so supportive to our growth. We adopted a highway so that it can be kept clean! This program is available through the State Toll Road system and is designed to help pay for trash removal and other debris. It’s nice to “Give Back” now and then. 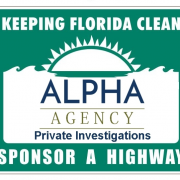 https://alphaagency.com/wp-content/uploads/2017/09/Adopt-Highway-Sign.png 542 654 Wayne Miles https://alphaagency.com/wp-content/uploads/2017/02/Alpha-Agency-Logo-with-Tag-Line-300x300.png Wayne Miles2017-09-23 07:35:342018-02-11 23:35:18We joined the Adopt a highway program! We love surveillance videos and new toys! And just last year we started to use a camera that allows us to capture video (or pictures) from a great distance. This type of equipment is much the same as used by police departments around the country. With this device, our team can get close up, clear, steady video and images. This is exactly what you need to help win your case. Having equipment like this gives us the upper hand to get the best quality evidence for our clients. 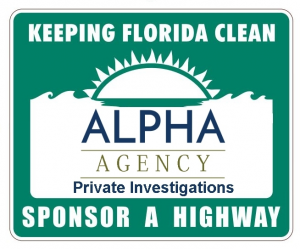 Just another reason you want to use Alpha Investigative Group for your investigations. 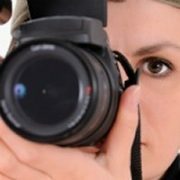 https://alphaagency.com/wp-content/uploads/2016/07/alpha-agency-camera-1.jpeg 200 200 Wayne Miles https://alphaagency.com/wp-content/uploads/2017/02/Alpha-Agency-Logo-with-Tag-Line-300x300.png Wayne Miles2016-07-26 08:02:172018-02-12 00:17:51We do Surveillance Videos! This was an interesting case that we were happy to take on. 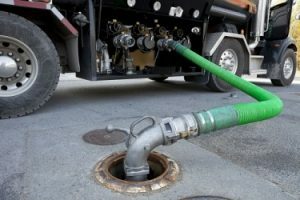 It was suspected that a septic tank company was dumping their waste trucks in illegal locations at the end of the day, so Alpha Agency investigators were hired to follow them and obtain video of their activities. Because we did not have any clue of where they would be going, we used the help of a GPS unit to track their movement. 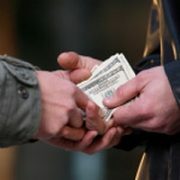 Doing this saved hundreds of dollars in surveillance costs for our client. Towards the end of the day, we would be able to close in on the vehicle by looking at the live GPS tracking on one of our vehicle mounted computers. Our investigator could quickly move in close enough to be able to get photographic evidence of them emptying the truck. Proper disposal is well regulated by the county and state to prevent pollution. The last thing anyone wants is waste being dumped where it could run into streams and lakes. Our investigation lasted nearly three weeks and sure enough, one day we saw the vehicle pull into an old road that led out into a wooded area about a mile past a vacant mobile home and dump hundreds of gallons of raw sewage into a small pond. Our investigator obtained video and photographs identifying the driver and the vehicle complete with tag number. This information was quickly turned over to the State and County for prosecution. The result was a hefty fine and an order to clean up the dumping sites. A few months later the company went out of business and the owner moved away from Florida. Our client had just a bad feeling that this was going on and decided to hire us to prove if it were true. What we decided to do was work the case to help him and we only charged him a fraction of the normal cost because we thought it was a nice gesture on his part and we wanted to help out. https://alphaagency.com/wp-content/uploads/2016/05/fruad.jpeg 200 200 Wayne Miles https://alphaagency.com/wp-content/uploads/2017/02/Alpha-Agency-Logo-with-Tag-Line-300x300.png Wayne Miles2016-05-23 07:03:162018-02-12 00:20:53Who's dumping waste? 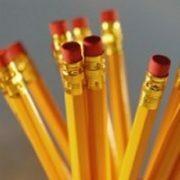 Several times a year, Private Investigators get to go back to school and keep up with their education. 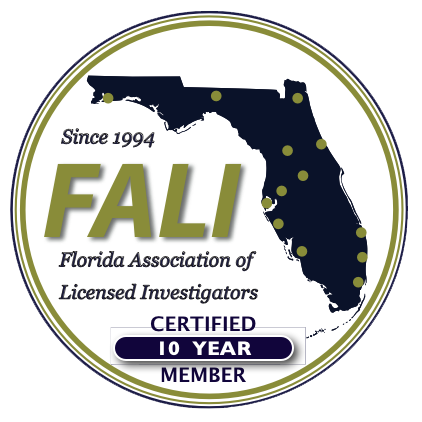 This weekend was my turn as I attended the 2016 Florida Association on Licensed Investigators (FALI) Conference held in Tampa. One of the courses was an eight hours devoted on how to conduct interviews. 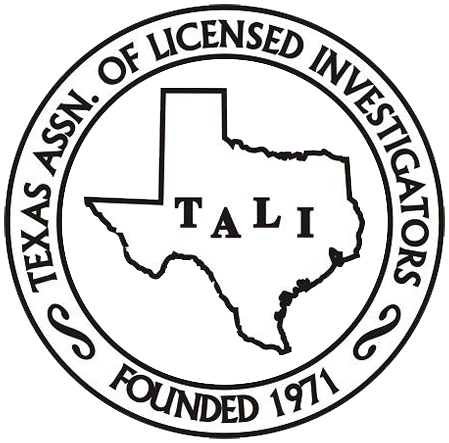 Learning about Forensic Interview techniques. This is a common need for legal support work. We learned all about the proper way to do this, and how to get as much out of the interview as possible. Also, we were taught that if the interviewer does not do a good job, it could really hurt the case when it gets to court. So, knowing all about the interview process is a very important skill to have tucked away in your tool box. There is a lot more to doing this than what you would think, and it is such an important part of what we do. It was a very long time to sit on such hard seats in a cold room, but when it was all done, I would say that it was well worth it all. This instruction will last a long time and I am sure I will be reviewing the textbook over and over again. All client information is CONFIDENTIAL. 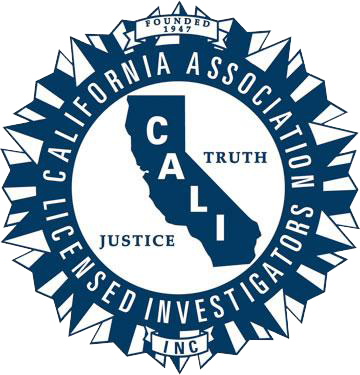 2018 © Copyright - Alpha Agency, LLC | Investigative services provided by Alpha Agency. Florida State License A 2900318 All communication with clients is CONFIDENTIAL and protected by law.